Built to survive on the street, this splash-proof, drop-proof speaker is as tough as you are. 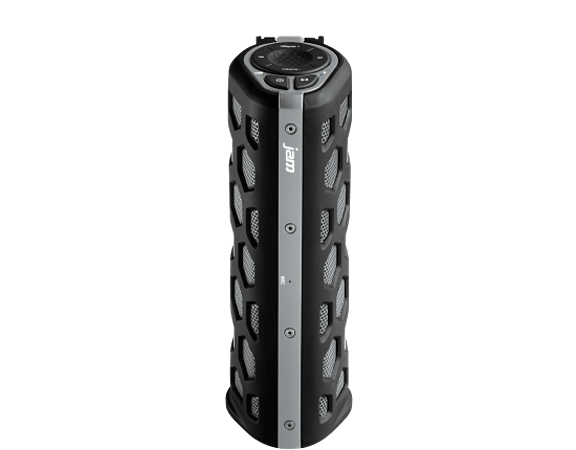 The JAM Street™ Rugged Portable Bluetooth Speaker pairs easily with any Bluetooth device, gives you up to 8 hours of party time per charge, and has an integrated carabiner so that you don’t miss a beat. Lifelike sound projects in all directions. The JAM Street is designed to handle tough environments. 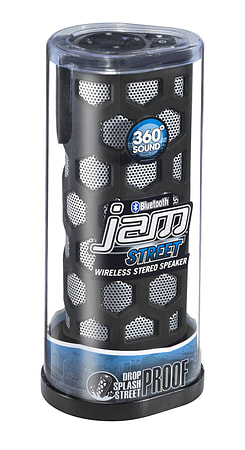 Answer calls directly from your JAM Street speaker. The JAM Street is about the size of a water bottle, and includes a built-in carabiner. Product size: 2.5" x 1.8" x 6.5"